Trucking on with Masters 25 spoilers. Our Limited archetypes, Magic's most powerful Instants are abound alongside our rare Land cycle and an Elder Dragon. With the great art by Zack Stella, Counterspell returns with the same centering and the iconic 'M' at the heart. I may have to replace my Eternal Masters ones with these ones in my future Pauper decks. 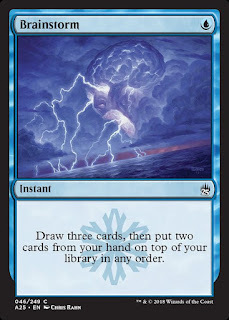 Brainstorm returns with the heavy metal artwork available only to the 2012 Legacy World Championship winners. Centering the text with the Ice Age snowflake, coupled with the super literal art work makes this one sought after common. Bolt. An icon of the game. 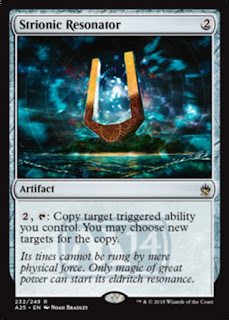 It'll certainly be the last member of the boon cycle (all one mana Instant that gets three of something) that we can expect to see in this set given that Ancestral Recall is on the Reserved List and that Healing Salve is a terrible Magic card. This solidifies any doubt that it'll never be printed at common ever again, but will be printed in special sets like this many times to come. Commander players rejoice. Strionic Resonator returns. Zur can go get two enchantments. 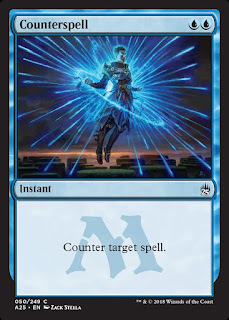 Mairsil can cage two cards. Feldon makes two robots. 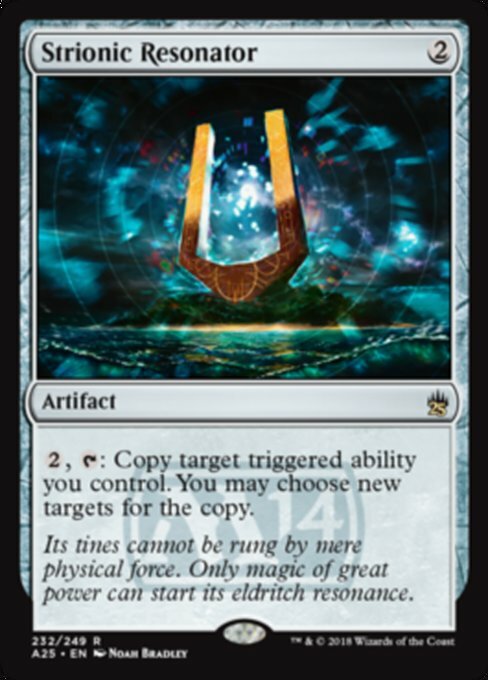 Originally a card MaRo created to explicitly teach the player base about triggered abilities - it'll cause Limited shenanigans and Commander power plays once it wheels half way through pack two on Draft Weekend. 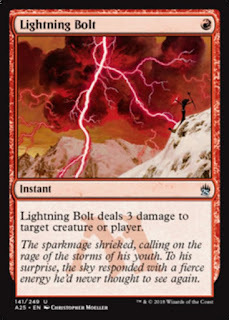 The culmination of the Alara block storyline displayed on this five colour rare. Nicol Bolas reunites the five shards as we see on this five colour sorcery to search your deck for five colours. A mainstay in rainbow commanders like Horde of Notions and Slivers, as well as the namesake Legacy Combo deck where you search for Progenitus then discard it over and over. Welcome to see it here, but would feel bad to open it pack one on Draft weekend. 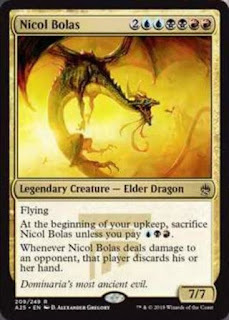 Speaking of Bolas, the Elder Dragon to which the format is named, has returned with his much less bookish, From the Vault artwork. 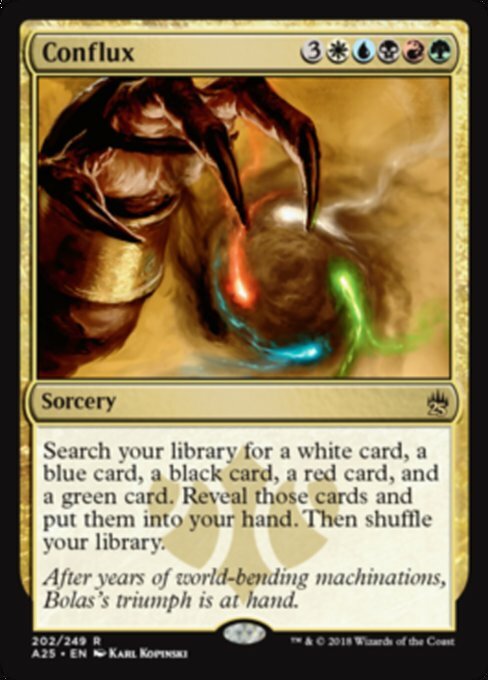 Between him and Prossh shown in the last spoiler article, I cannot help but wonder if tri-colours are being supported here in the limited format for Masters 25. Who knows? 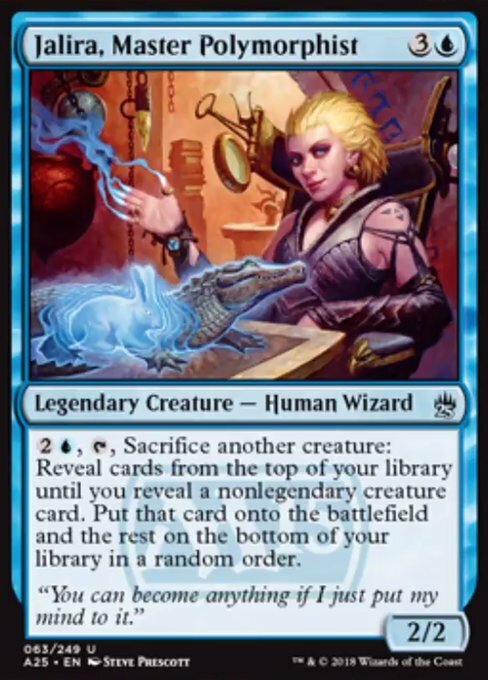 Jalira, the Blue Legend from M15 returns at Uncommon here. A powerful legendary who polymorphs anything into anything non-Legendary. 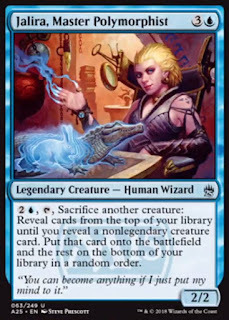 Her and fellow M15 alumni Yisan are both in the top 12 most played commanders in their colours, making her a welcome face to see again. What makes me curious is her rarity. Uncommon legendary creatures? What is this, Kamigawa. I'm sure I can try to fit her into a deck, churning through it, turning boring creature tokens into powerhouses. Who knows? Here is a welcome reprint of a land notorious for its extensive play in Nekusar, Niv-Mizzet, and other mass draw decks. I need a copy and can't think of a better opportunity to get one. Well I owe a few people some money, because I would not have bet on enemy colour Lorwyn filter lands to be printed in Masters 25. 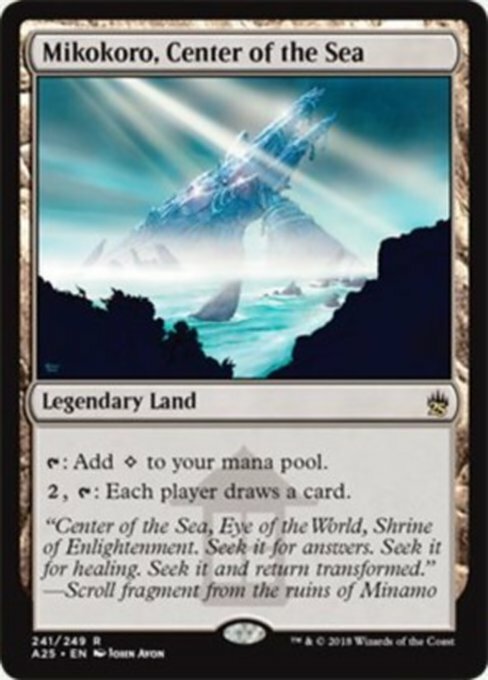 Their price was on a steady incline since Modern Masters 2017 gave us the Zendikar Fetch Lands back, but honestly I'm a little underwhelmed. 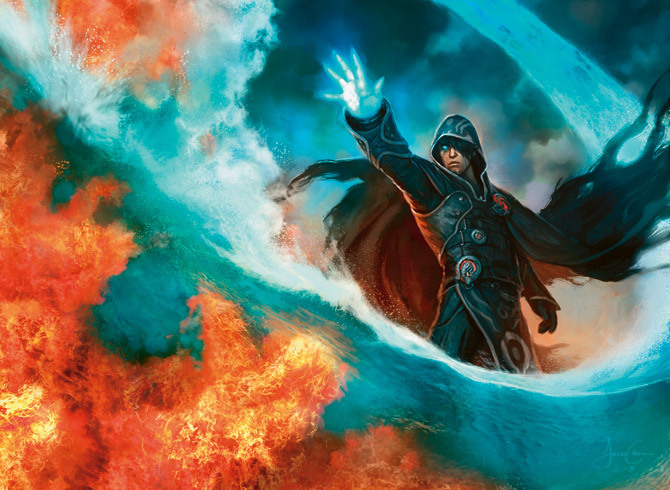 They see fringe Modern play, and extensive two and three colour Commander play, and while the prices are high, the demand is not. Much of the week, people have clamoured for the Zendikar Man-Lands - myself included. Not disappointed, but not elated either. 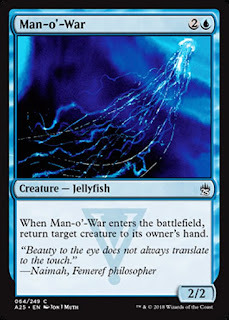 This jellyfish is regarded as one of the finest creatures for Limited play in the history of this game. It's very easy to be swept away by the flashy reprints - the declines in the market as Jace, Rishadan Port, and Imperial Recruiter return with their prices (mostly) nerfed. 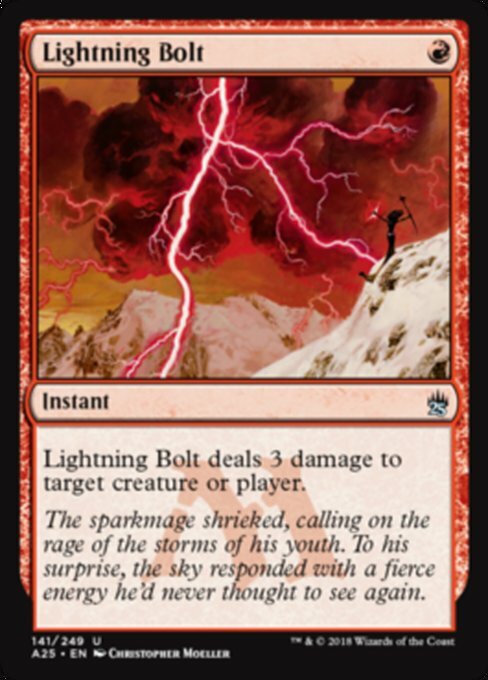 It's also just as easy to besmirch the inclusion of rares banished to the fringes of Magic play like Blue Sun's Zenith or Akroma's Vengeance, which bring down the value of packs when you know what could be in there. It's at this point I must remind you all that THIS IS A SET TO BE DRAFTED. 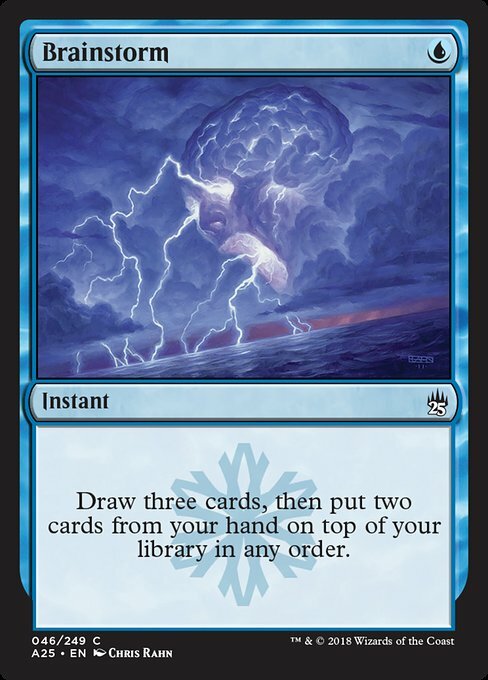 Yes we all need the reprints, and they're very welcome, but to draft a Master's set is to pinch Mark Rosewater's Cube - powerful, dynamic Magic. This legend of the limited tables is one of the most welcome sights and will be taken very early as the packs wheel around the table. With Man-o'-War covered, and with the question I posed at the end of yesterday's article 'what will Limited be like', I feel that one of the questions might be starting to coalesce. Somewhere Henry Jones is squirming uncomfortably. Black seems to be showing off two themes here: rat tribal, and the 'Fear' mechanic. Being too scary for the other colours, Fear is making a comeback and giving these Black creatures a great deal of evasion, be it the aggressively costed Cutthroat or the bulky ogre that gathers rats like Otis Flannegan. The rat tribal is what's interesting here. The spread of the cards shown so far shows the scope that Magic can dip into - Fifth Dawn has the rats that can infest your deck before ever shuffling up while the Nezumi are a race of rat people from the plane of Kamigawa, to which Ink-Eyes is a part of. The deck has a lot of scope if well supported in this Limited environment. To make the deck go even further, Marrow-Gnawer would be a powerful payoff card for both themes in the Limited format with Ogre Slumlord as another payoff. As for looking elsewhere, this is the first time that Relentless Rats has been printed at common. 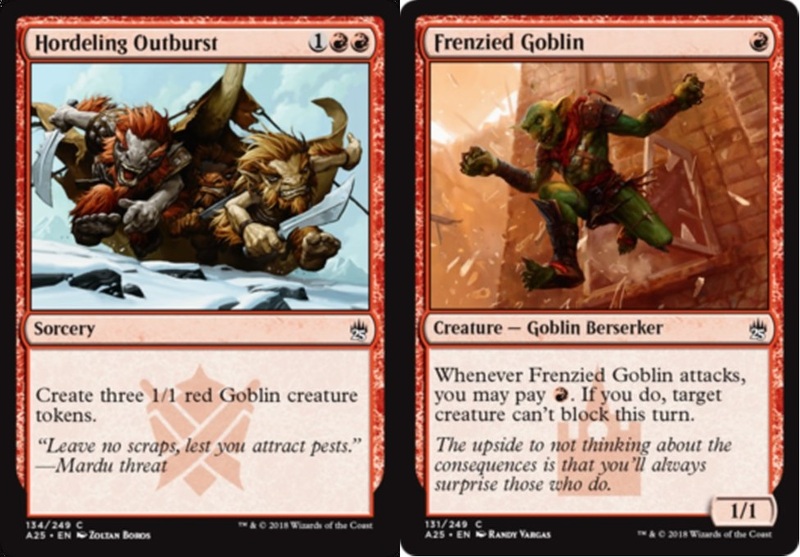 Though this downshift is obviously to make the rat deck viable in Limited, this could have lots of other effects for Pauper. 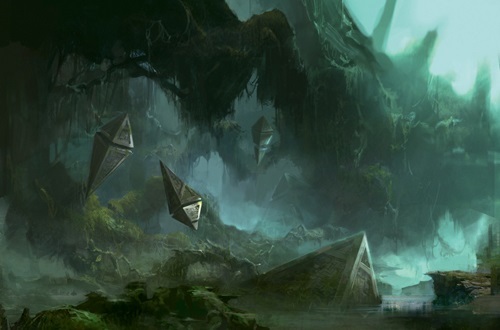 Relentless Rat decks could soon infest the format - not negatively, but in general. "Summoner's Pact. Go get PrimeTime." That's a sentence I've heard a lot. 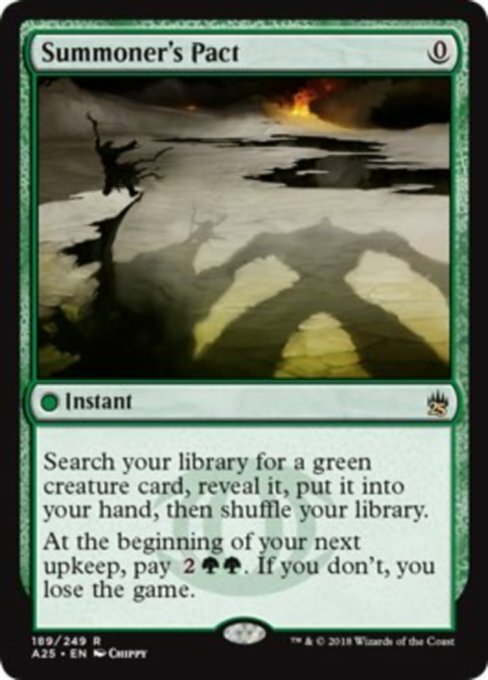 Probably tied with Pact of Negation, the free-ish, Green tutor is the most played Pact in Modern. Welcome in TitanShift and Bloomless Amulet, it goes to get the absurd Primeval Titan very very often. 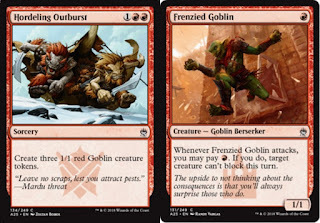 Goblins at common are as clear a signpost to me that Goblin Aggro of some kind is the Red archetype in the Limited environs as Fearful Rats are for Black. Get me a Krenko and a Squee and I can sleeve them up very sharpish. The lands are free for us to explore and it seems that rats and goblins will litter the battlefields. What else does Masters 25 hold in store?